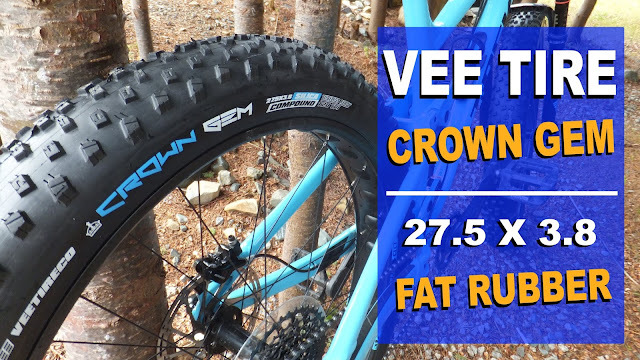 Some of you may be familiar with the Sandman brand of fatbikes, but if you live in North America you may have not seen many on the trails. 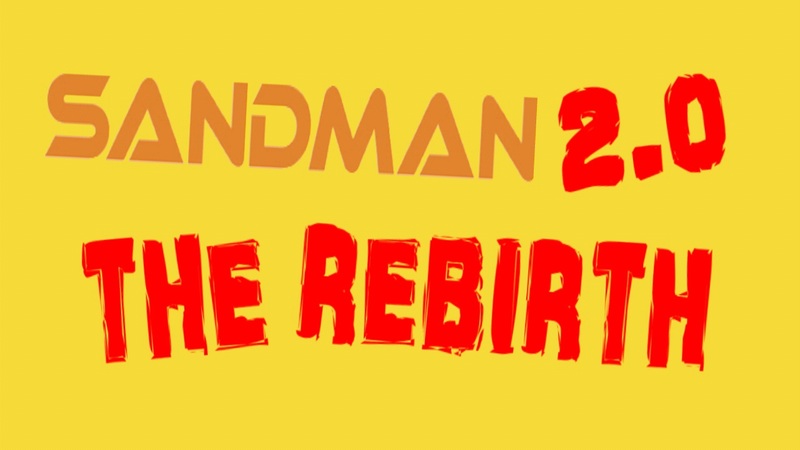 With the rebirth of Sandman it is looking to expand and spread its fat globally. The history of the brand Sandman goes back all the way to 1997, when Belgian Koen Viaene needed the right equipment for an adventure trip to Alaska. 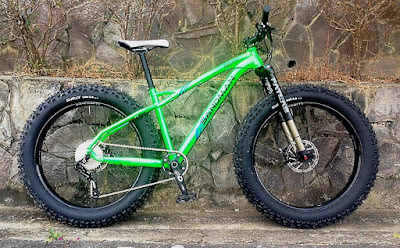 Ten years later the first Sandman fat bikes rolled out into the wild. In 2011 Marvin Besselink joined Sandman as product manager with the goal of getting more competitive through new designs, new materials and increasing quality. 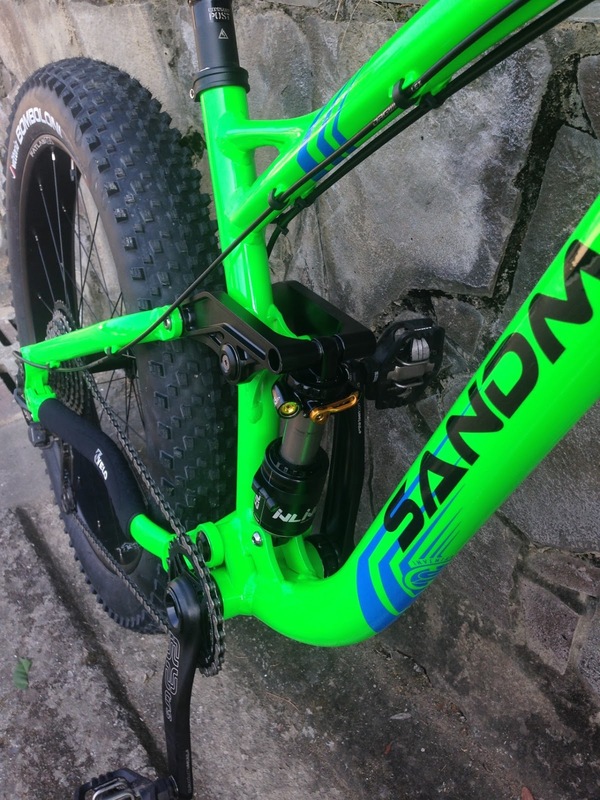 The new Sandman line-up has taken three years to develop, test and get the bikes ready for market. 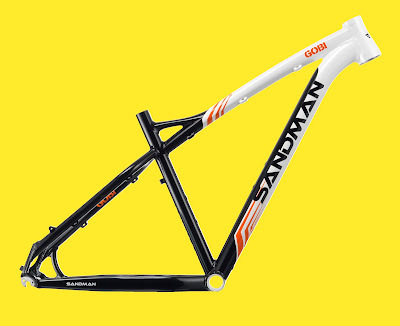 Sandman builds its frames and forks to fit 4.8 inch wide tires mounted on 80mm wide rims and uses the 170/177 axle standard. 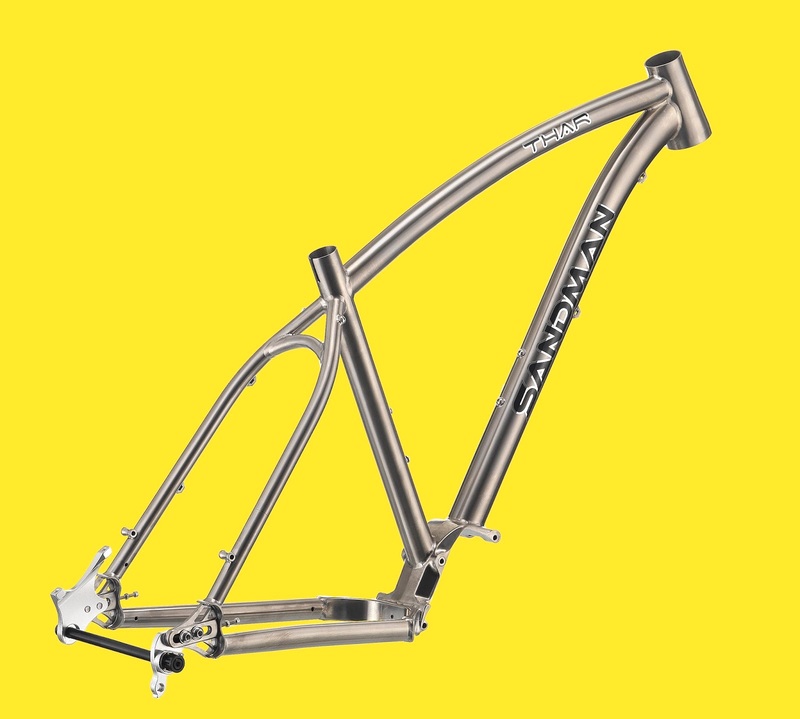 Bikes are available as frames, frame and fork kits, rolling frame kits and complete bike build kits. Each Sandman can be had with either 55mm or 80mm rims at no upcharge. And what’s even better, Sandman frames can be set up with 27.5+ and 29+ wheels . . . so you effectively get three bikes in one. While the R&D work is a joint effort of specialists both in Europe and Taiwan, the aluminium and titanium frames are made in Taiwan. And as for fat bike-specific parts, Sandman heavily relies on products from its sister company FATlab Components. Atacama - Entry level fatbike that is also available in a smaller 24" version. Gobi - Getting a little lighter with classic Sandman colours. 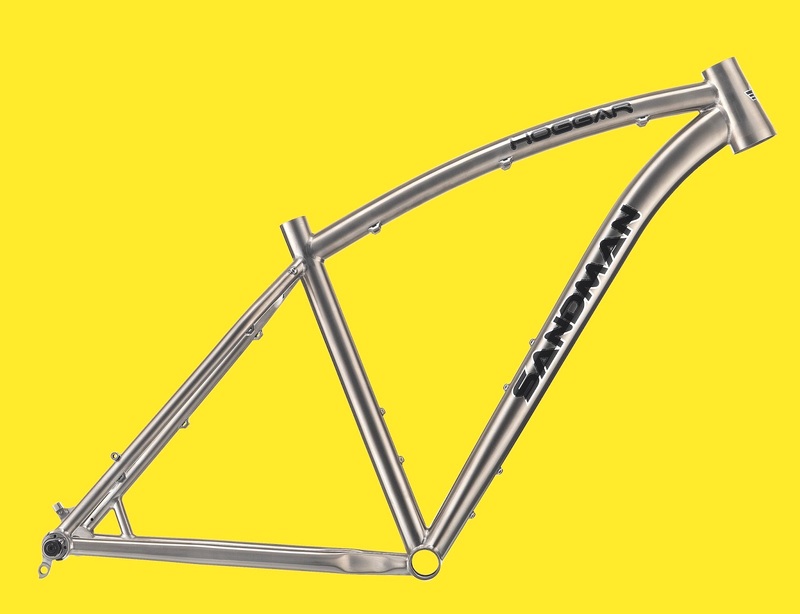 Indus - Hardtail and full suspension. 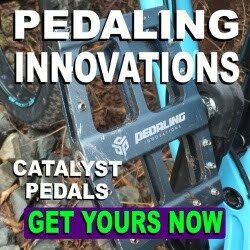 Fatbike Republic had the opportunity to chat with Marvin Besselink (now head honcho of Sandman) about their updated and upgraded line of fatbikes. FBR: If you were to pick one thing in the new Sandman line-up that you were most proud of, what would it be? Marvin: What we are most proud of is that we have managed to bring the level of quality of our new Sandman line-up to boutique level and that has taken us a long time, but we are finally there. 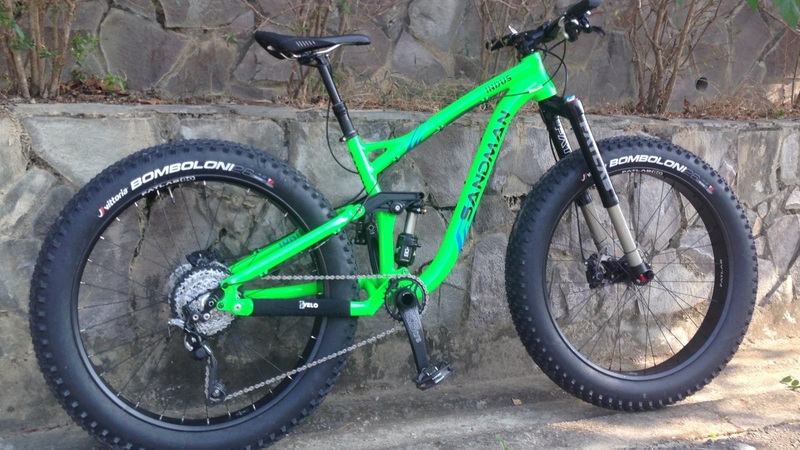 The bikes are full-fledged fatbikes with multi-use characteristics. 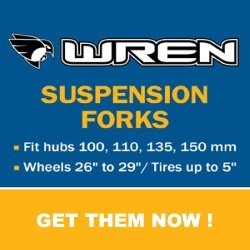 They perform well with a full fat 80mm rim, in a lighter trim with 55mm, or even set up as 27.5+ or 29+. The rear triangle design allows for a 448mm chain stays which makes the bike handle much more nimble and quicker then most fatbikes in the market. And all this with a 1x10 or 1x11 drive-train. 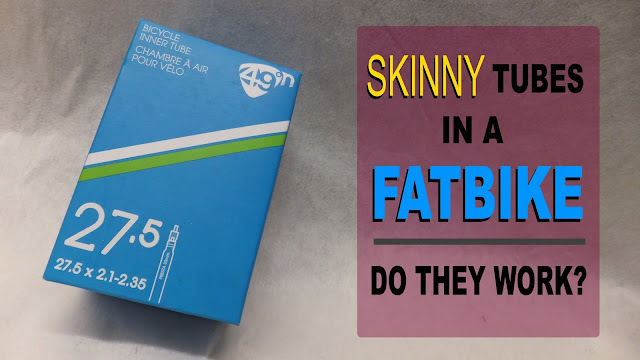 If used with a 55mm rim and a 3.8" - 4.5" tire the bikes can run a 2 x drivetrain. 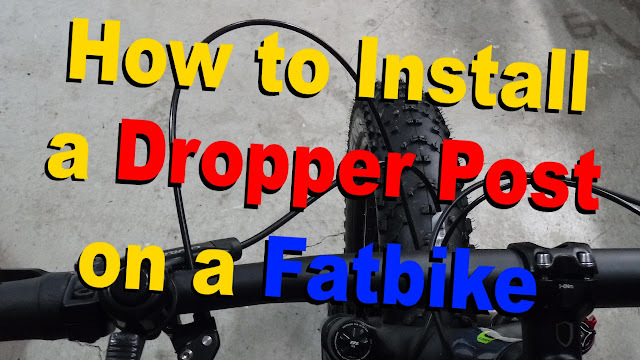 FBR: A number of your fatbikes have front suspension. What's up with the inverted fork design? Marvin: We made the first fatbike with front suspension way back in 2002 when we finished our first frame and mated it to a maverick fork as it was the only fork that would work. From there we have worked with German A and now with FATlab to continuously improve our inverted design to what it has become today. Other current offerings may be more competitive on pricing, but it is not made to tackle the big wheel market as it should. 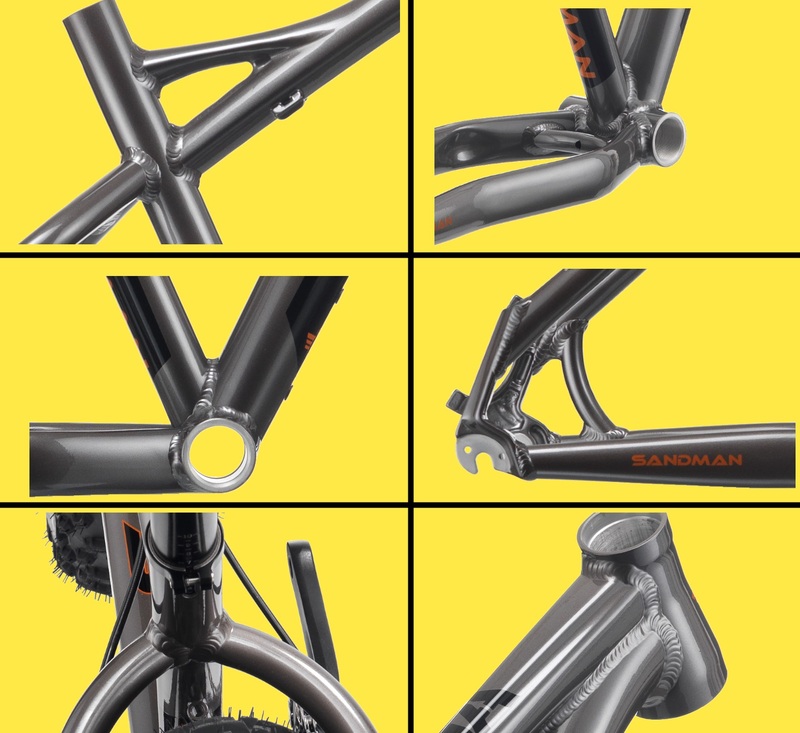 Our new fork has internal guides (keys) to keep the front end from twisting sideways and that makes it a lot stiffer and better functioning then any other fork out there. 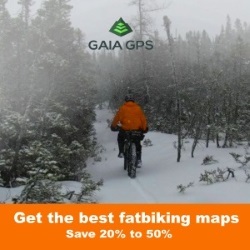 FBR: What are your plans on getting your cool fat offerings to the hungry North American fatbike market? Marvin: We are working hard on that. A large part of the North American market is dominated by larger brands. 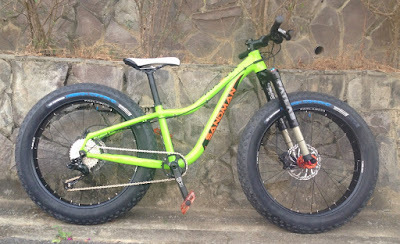 We are looking for shops interested in offering high end, quality, super performing fatbikes to their customers. 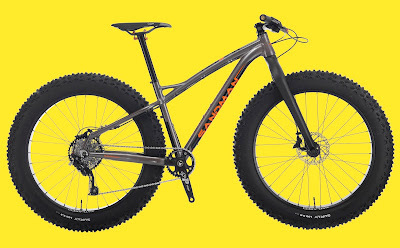 Fatbikes without a model year badge, that remains at a higher value and will not be replaced once you have just started selling the current model. FBR: Thanks for giving us a few moments of your time! Marvin: You are most welcome. You can see what Marvin means by elevating the bikes to boutique level. Just take a closer look at the welding on these bikes. Its almost like artwork. I have seen welding on big name manufacturers that pale in comparison. For more gritty details on Sandman's suite of desert named fatbikes . . . go check out their new revamped web site.